Caribbean dream earrings are dramatic and refreshing. 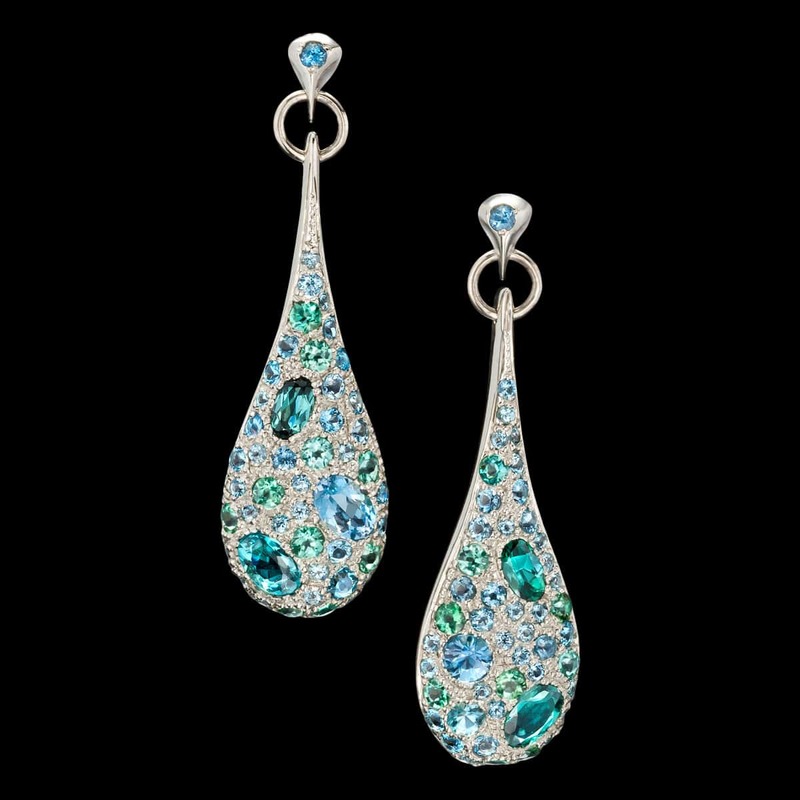 Dazzling aquamarine and tourmaline sparkle from these white gold drop earrings. To purchase, call us at (949) 715-0953 or use our contact form below.